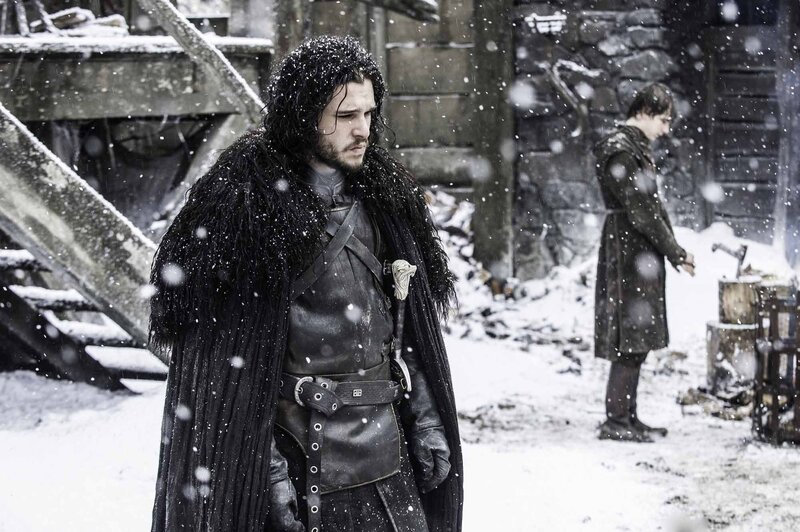 Game of Thrones starts at 9 p.m. EST SHARP (6 p.m. PST for those HBO Go users!). However, it doesn’t really start right then, because the forever-long Game of Thrones credits have to roll first. They’re so long, you can get up and get yourself a snack before you settle in for the full episode. However, if you skip the opening credits, you’re missing out on one tiny detail, and it’s a tiny detail that will ENRAGE YOU. As you know, the Game of Thrones credits highlight the many wonderful places you can visit in Westeros, from King’s Landing to The Wall, to even places across the sea like Braavos. Over the years you might have picked up that from time to time, yes, the credits change ever so slightly to sort of hint at what might happen during the episode. While you might have casually been paying attention to the ever-changing grid, you probably missed this tiny detail: Over at Winterfell, the House Stark crest is gone. It’s been replaced by House Bolton. Shut the front door. Hell no. The opening credits reflect what’s happening on the show, and if we’re going to face the truth, it’s sadly true. The Starks do not have control over their home. Ramsay Bolton does. This House switch actually happened all the way back in Season 5, Episode 1 when the Bolton’s first strolled in. Rude. We’ve just been so busy freaking out about Jon/Sansa/Arya/Bran/EVERYONE to really notice that stuff was going down at their home. Hopefully we see that Stark crest again — and soon.